as the title suggests this is the movie about appolo creeds son and his fight for glory in the ring , for those who dont know appollo died in rocky 4 fighting the russian ivan drago, fast forward the years the son of appolo seeks out rocky to help train him. stallone as rocky is great in this and the awards are justified. he plays it real and honest and with the right amount of emotion. 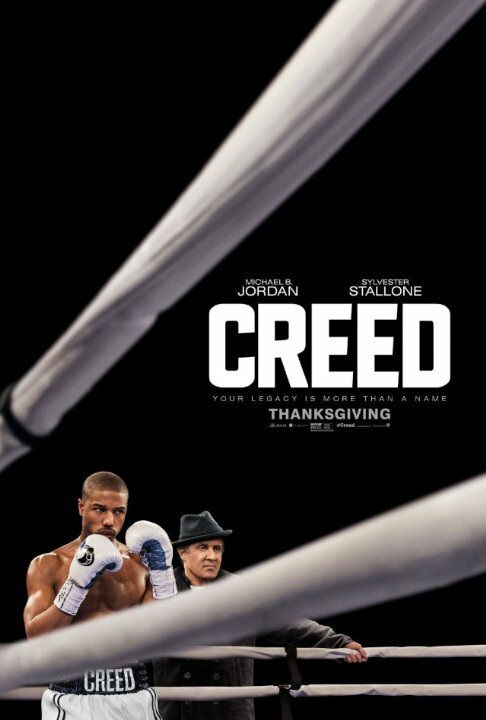 While this is a movie about creed there is also the sub story running through it of rocky who is also having the biggest fight of his life but this time its with illness. . time takes everyone out he says its undefeated. That is a great line that sums up his life in this. Micheal B jordan does a fine job as creed though he is no rocky or even appolo but he is still good . the story is simple but very well put together and scenes mean something. overall its a solid good movie that most will like whetehr your into boxing or not, its about over coming lifes obstacles not giving in or giving up which is what rocky was always about and creed carries that torch. someone you can root for. people rank it with the rocky movies saying things like its 2nd best etc. its better than rocky 5. but you cant compare. its good but its no rocky. will there be a creed 2, can creed stand on his own without stallone in it. i think it can but it wouldn't be as good , rocky is rocky creed is good but its still scrappy doo compared to scooby.